Cyber attacks have become more frequent in the last few years, and all organizations that store data must have a comprehensive data protection strategy to mitigate the risks arising due to vulnerabilities. Vulnerability and its manifold triggers have alarmed Network Administrators and System Administrators, alike. And, with digital transformation, vulnerability has also emerged as a serious security concern for Data Administrators. The organizations’ growing focus on digital transformation, in general, has largely pushed the Big Data realm with massive generation of user data which is difficult to manage and secure. Consequently, this has exposed numerous loopholes for cyber attackers to gain unauthorized access to sensitive information on a network or standalone system. The term vulnerability defines an underlying weakness associated with a system, which if not patched in time, exposes the system to a potential threat. For example, failing to patch Windows updates on a Web server is a vulnerability. At Network level: USB Thumb Drives, Laptops and Netbooks (Contain an Ethernet port to tap directly into the network), Wireless Access Points, the unsupervised person in the server room (Trojan humans), digital assets, and more. At System level: Email phishing, a fellow being watching user during login, Top 3 most exploited programs installed on a system include – Adobe Reader, Oracle Java, Adobe Flash At Data level: unsecured mobile devices, unsecured Cloud Storage systems, and more. At Data level: unsatisfied employees, unsecure mobile devices, storage applications including cloud, unsecure systems at third-party service providers, hackers, and more. Most businesses have heterogeneous systems with multiplatform automated patching to guard the networks and systems closely. But, sometimes, the administrators are unable to assess the type of vulnerability, which initiates a vast majority of threats due to unpatched networks and systems. A small vulnerability at entry level network, when left unattended, may thus turn out to be the most feasible loophole for malicious attack on an organization. Therefore, plugging these vulnerabilities -before they get traced by a malicious entity -is one of the best preventive measures to protect data and stop such entry level network threats from branching out to multiple risks. 1. Business downtime: The downtime or outage happens when a system becomes unavailable for a certain duration and fails to perform its primary function. To restore a compromised system from scratch, the business has to invest resources, which causes upfront loss. Downtime also leads to business disruption when critical IT systems are involved, especially the database where there are higher chances of organizational data being compromised. According to Ponemon cost of data breach study, organizations based in the US can recover some of the highest post-breach response cost. 2. Data loss: Data encryption by ransomware might cause permanent loss of data, thus, compromising strategic advantage and affecting brand reputation and overall business health. In cases of encryption you need a data recovery software like Stellar Data Recovery. Data loss prevention could have been possible if the organizations had applied timely patches. 3. Data privacy and legal implications: Unauthorized 3rd party data access affects the confidentiality, integrity, and availability of organizational data, thereby compromising data privacy. In today’s context, non-compliance with data privacy regulations such as the GDPR might lead to legal complications. How to Safeguard Against Data Vulnerabilities? Implement Unified Threat Management (UTM) to ensure perimeter security around Firewalls and Routers, and apply phishing protection, etc. Patch updates that are suggested during vulnerability tests, and address the vulnerabilities based on order of priorities– critical, high, medium, and low –to prevent malicious attacks. Stateful packet inspection to clearly distinguish legitimate network communication from malicious communication. Apply a real-time packet-decryption software for regular packet check. Establish Virtual Private Network (VPN) for secure private connection over public network links. Monitor hardware assets —Network Switches, Routers, Servers— and software performance by using online monitoring tools such as Opsview, Nagios, etc. to keep the risks arising out of system discrepancies at bay. Perform regular maintenance to improve the availability, scalability, safety, and reliability of physical assets, and ensure better protection. Maintain data backup at different physical locations to retrieve the data affected due to an unexpected malicious attack. Since the backup is not on the same network, there are almost nil chances of the data getting affected. 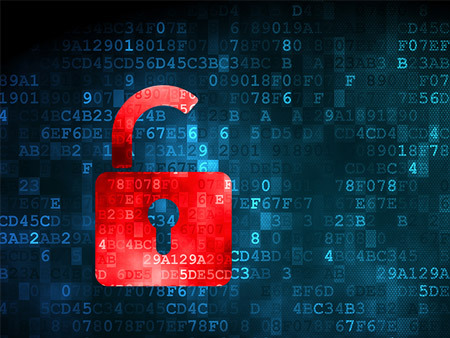 Advanced Data encryption: Encryption is not a new thing, but today’s encryption must be implemented in a more strategic & systematic way to protect data from cyber criminals and insider threats. You want to rely on an encryption system that not only prohibits outsiders from coming in, but also ensures that a system administrator or other inside source can’t be at a low level in the operational system. Implement role-based access control for individual documents: Organizations have to enable data sharing for employees, partners, third-party vendors, consultants and auditors, and other professionals associated with their business. To have proper security controls, it is a must to implement role-based access control down to the individual level documents. Data Erasure: Sensitive information when not in use must be erased from the systems to free-up the space and (more importantly) avoid exploitation by hackers. Data erasure software such as BitRaser help erase redundant and non-useful data from multiple IT assets in one go. While Data Protection is largely based on implementing preventive measures and practices, Data Disposition is concerned with safe disposal of redundant or undesired data. And there are regulatory policies to govern safe data disposition, which mandate organizations to comply with privacy and security standards. In this regard, data erasure software such as BitRaser is used by Enterprises to perform secure data erasure in line with the international standards. BitRaser erases sensitive data in an efficient, cost-effective, secure, and socially responsible manner during recycling or relocation of data assets. Not just for erasure, a certified data erasure software like BitRaser helps organizations to plug vulnerabilities and protect their network and systems from many threats arising out of data exposure.